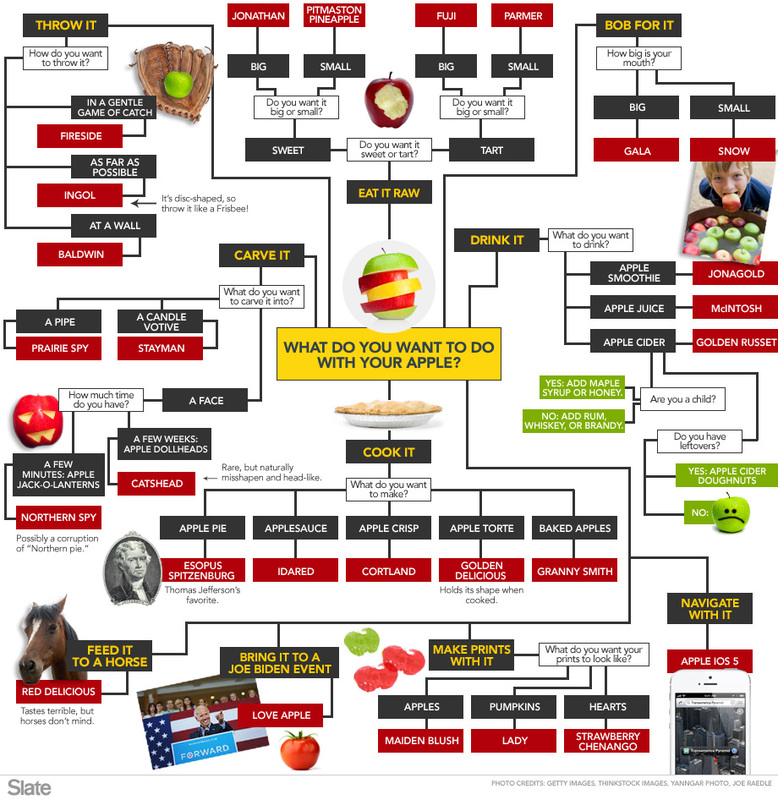 You are in Home > Blog > Food & Drinks > What's the Right Apple for The Job? There's a lot of varieties of apple in this world and each one has its own virtues. Some are better for cooking while others are perfect raw but apple usage can go deeper than that and the team over at Slate have proved it with this infographic of Apples. They've covered the best apples for throwing, cooking, bobbing and even the fact that a Red Delicious is the best variety to feed to a horse. It's interesting to see some of the many uses of apple and even more interesting when you see just how many there are in the world.